After installing, enable the module and go to Structure -> TB Mega Menu settings. 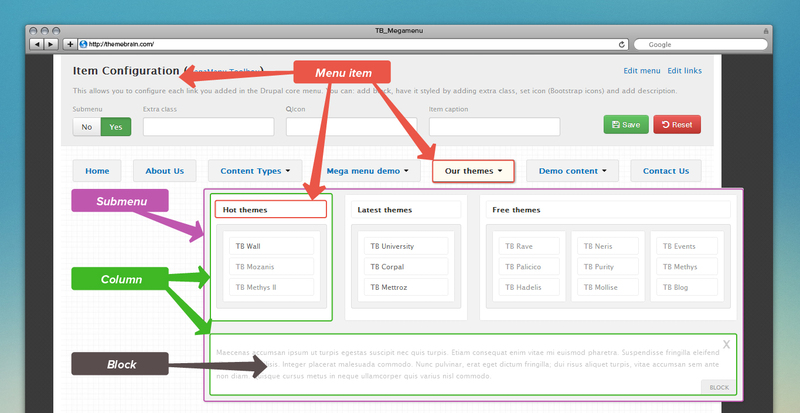 You will see a list of menus, each menu here is an instance of existed Drupal menus. 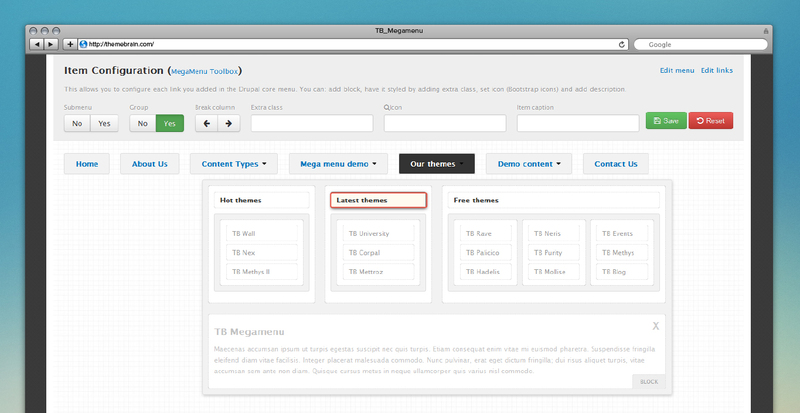 Click on any Config link to go to TB Mega Menu main UI. In this guide, we config main-menu. Toolbox Area: The top gray area that allows you to config selected element in the menu simulator. General toolbox is displayed defaultly and when you click on the space in the simulator. 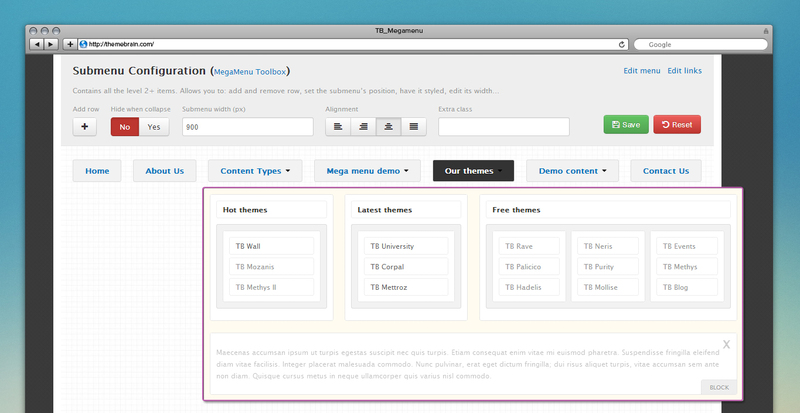 TB Mega Menu simulator: simulate the megamenu frontend interface but simplified (without style), you will get what you see here. There are 3 types of clickable elements in the Simulator which are: menuitem, submenu, column. Depend on the element you select, the Toolbox will display different contents. As default, General Toolbox appears once you enter TB Mega Menu's config UI for any menu. 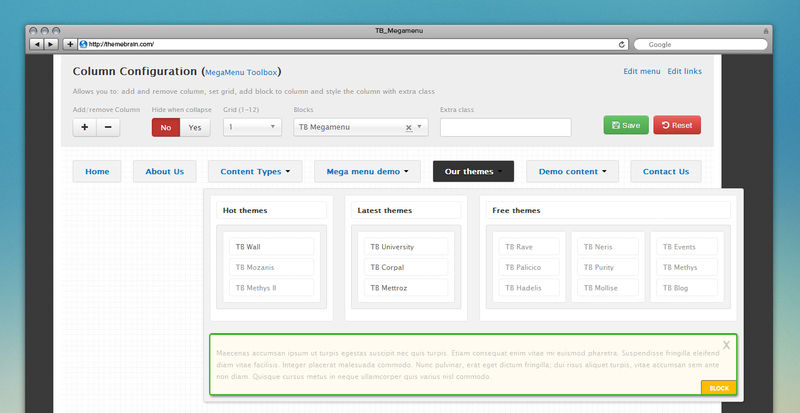 TB Mega Menu in front-end is a block and General toolbox allows you to config for that block.